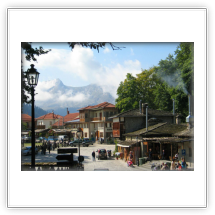 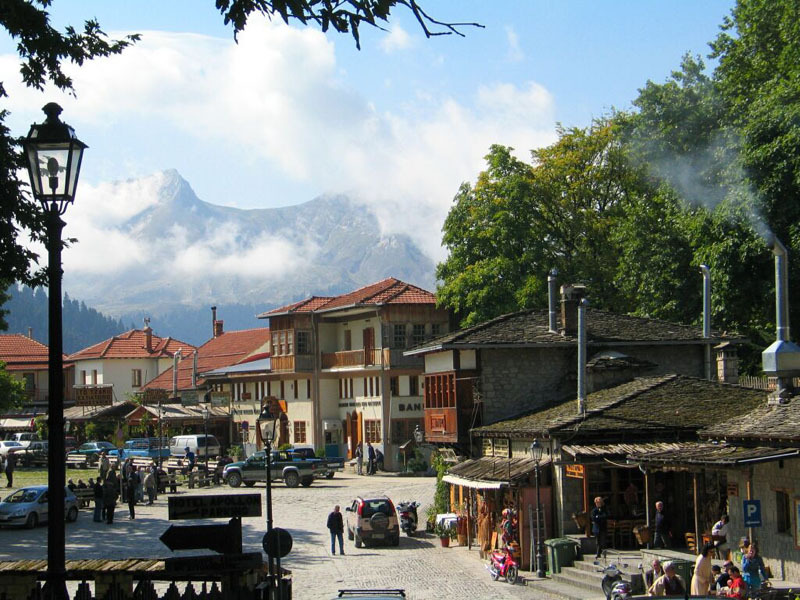 Leave in the morning by ferry to Igouemnitsa and drive to Kalambaka. 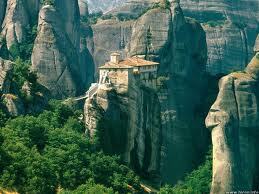 Visit Meteora rocks for a tour of the cliff-top monasteries. 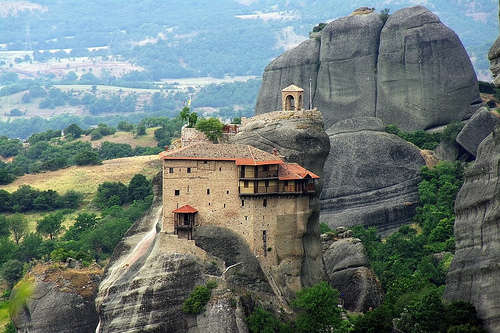 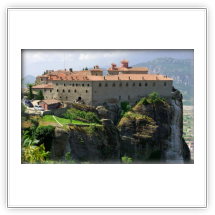 Visit in two BYZANTINE MONASTERIES built on top of rock towers and providing fantastic views over the plain. 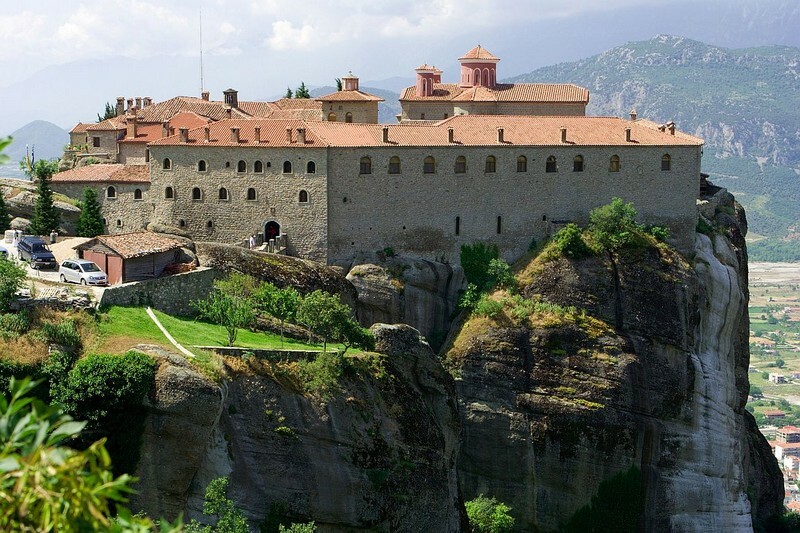 Meteora is included on the UNESCO world heritage monument. 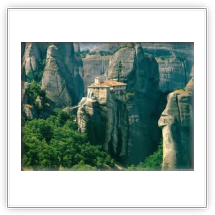 The monasteries are perched on top of towers of sandstone, which for centuries provided totally inaccessible retreats for the monks. 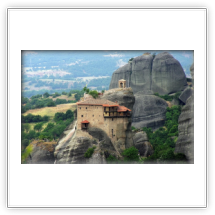 Meteora is considered one of the most beautiful area of mainland Greece, and its monasteries are one of the country's most unique attractions.